Behind every great company there is usually is a great story, and Korg is certainly no exception. However, paradoxically with this story, the prologue comes at the end. At least the end of the story so far, but I digress. 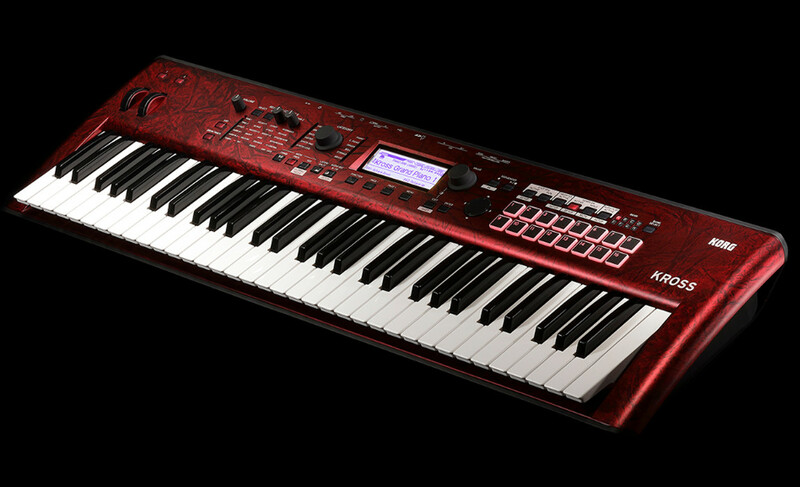 Unlike our previous Art of Synthesis subject Arturia, Korg are a company with strong ties outside the world of synthesis. If you walk into a guitar shop for example, the staff will likely speak about Korg as a prolific and respected manufacturer of electronic tuners and boutique effects processors. Korg were in fact responsible for the world’s first handheld needle tuner way back in 1975, the WT-10. But our story begins even earlier than this. In 1962, Korg’s legendary founder Tsutomu Katoh and his small team of employees started work on an electronic percussive accompaniment device to challenge the likes of Wurlitzer’s popular Sideman rhythm machine. A year later, the DA20 DoncaMatic was released under the brand name Keio Electronic. For the remainder of the decade, Keio’s product releases consisted mainly of rhythm machines from either the DoncaMatic or the newer Mini Pops family, although Katoh and co. weren’t unaware of the weird and wonderful things happening in the United States by one Robert Arthur Moog. 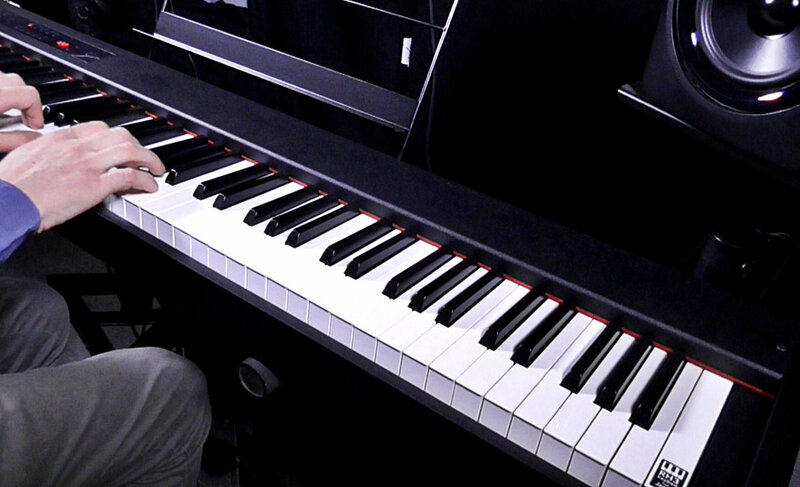 By 1970 Keio had turned their attention to keyboard instruments producing several electronic organ prototypes, which prompted a company name change and 1972 saw the first instrument release under the Korg moniker (derived from Keio and Organ). 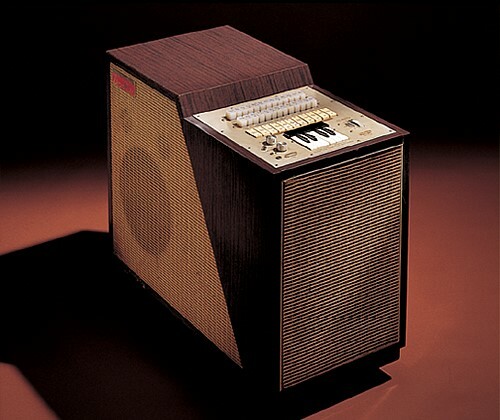 Korg’s first mono-synth, the Minikorg 700 was released in 1973. A capable yet fairly modest analog offering, the Minikorg foreshadowed what would be a remarkably proliferative decade for Korg, placing them firmly on par with their Japanese and North American contemporaries. Of the many synthesisers that followed the Minikorg 700, the PS-3300 (as well as its smaller sibling the PS-3100) truly stood out from the crowd. Released in 1977, the PS-3300 toted a mind blowing 48 notes of polyphony with 3 oscillators per note (144 VCOS total!). 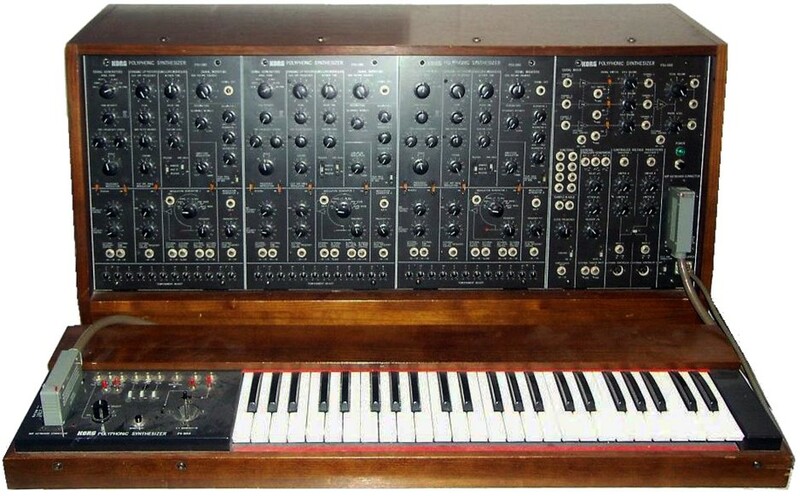 Due to the prohibitive cost, only an estimated 20-50 units were manufactured until production ceased in 1981 .The PS-3300 is widely regarded as one of the greatest poly synths ever made and Richard D James (Aphex Twin) recently sold one from his collection in an online auction for the bargain price of $18,855 GBP (roughly $32,000 AUD). As if the PS-3300’s unveiling hadn’t convinced the entire planet of Korg’s potential as a synthesis superforce, 1978’s MS-20 firmly cemented their reputation. Bearing more than a passing resemblance to its polyphonic predecessor, the MS-20’s similarly semi-modular architecture facilitated a huge amount of sound shaping potential in a small portable footprint, at a widely accessible price. Two, juicy, fat sounding oscillators are followed by a pair of filters in series; a 4-pole high-pass into a 2-pole low-pass. While this dual filter design contributed greatly to the MS-20’s overall sound and character, the low-pass filter is often considered its defining trait thanks to the recognisably aggressive resonant characteristics and self-oscillating behaviour. Tucked beneath the MS-20’s expansive patch bay is an audio input section, which as well as allowing for external signal processing, also provides frequency to cv conversion meaning that any audio source can potentially act as a controller for the synthesiser (with varying results). This functionality still impresses people to this day, let alone upon its first appearance 40 years ago! Unlike most synths of this vintage, the MS-20 in all its analog glory is even more accessible today than it ever has been thanks to the 2013 release of the MS-20 mini, a spot on recreation of the original, at 86% the size. If this is still more desk real estate than you’re willing to give up, Korg’s official software emulation has become something of a modern classic in its own right and is available individually or as part of the recently revised Korg Collection software bundle, and as an iPad app. 1981 proved to be another another monumental year for Korg with the release of both the Mono/Poly and PolySix analog synths. The first of which featured 4 oscillators which could be played polyphonically (dare i say, paraphonically), or stacked together in mono for monstrous leads and basses. 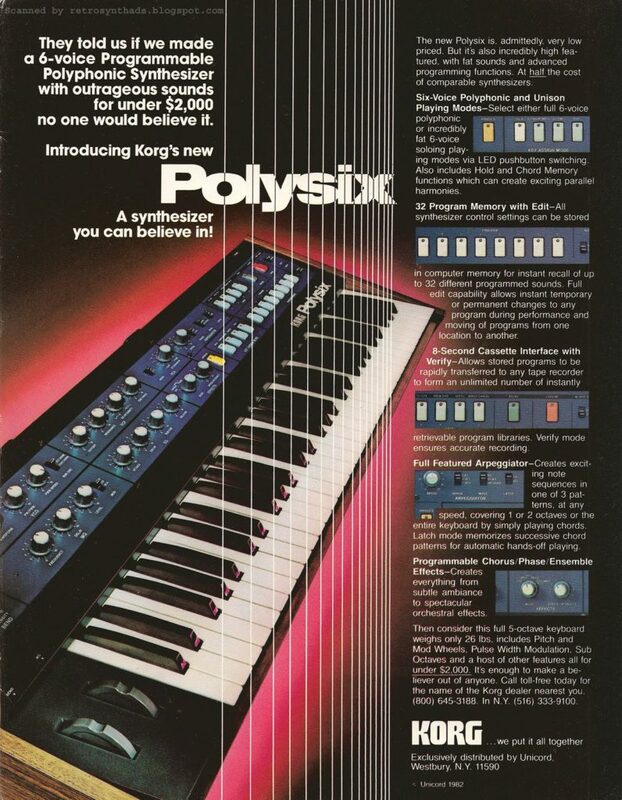 The PolySix initially garnered attention for its affordability as a programmable poly synth with preset memory, however it quickly became a favourite worldwide for bass sounds and thick, warm pads. The latter variety was in no small part thanks to the inclusion of an ensemble chorus effect which could transform otherwise simple string sounds into beautifully lush textures dripping with character. 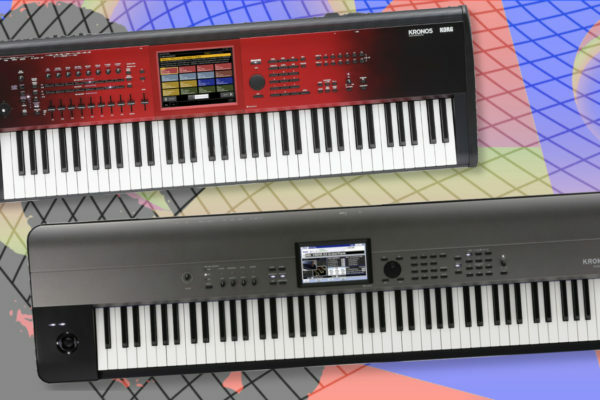 Both Mono/Poly and PolySix are again available in software form as part of the aforementioned Korg Collection. The 80s were a revolutionary time for synthesisers and many companies were experimenting with new cutting edge digital technologies. Korg were unquestionably looking to the future with synths like 1985’s DW6000 which offered analog style subtractive synthesis, only with digital oscillators serving up unique sampled waveforms as a sound source. The DW6000 along it’s bigger brother the DW8000, and earlier hybrid offerings such as the Poly-800 proved successful, but nothing quite matched the popularity of Yamaha’s DX7 released in 1983. 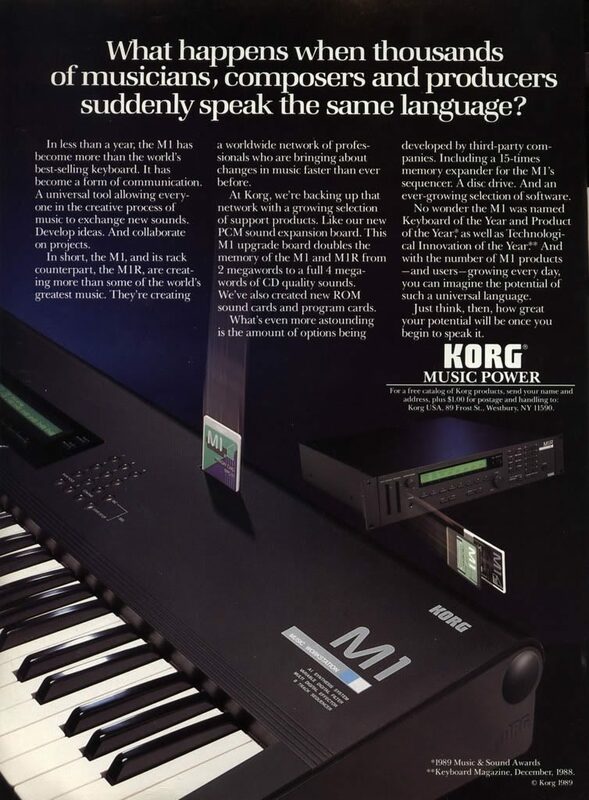 In 1988 Korg release the M1. Equipped with 4mb of 16 bit multisamples and sporting 8-part multitimbrality for elaborate splits and layers, the M1 soon outsold the DX7 and became the industry standard keyboard instrument for both studio and live use right through to the mid 90s. Preset #00 ‘Universe’ was a mesmerizingly complex patch serving as not only a memorable introduction to the M1, but also a great source of sonic inspiration. The acoustic piano sound in slot #01 was not only ahead of the competition, but cut through a mix beautifully for superb practicality in live use and a great fit in a range of contemporary recording contexts, particularly house music. And of course the organ sounds became a vital part of 90s dance music. On top of the many classic instrument presets found in the factory library, the M1 housed 2 expansion slots and many PCM ROM expansion cards were released over its lifetime providing a seemingly endless supply of sonic ammunition. The M1 software emulation (also part of the Korg Collection) includes all 19 expansion cards, as well as sounds from the T series (a successor to the M1) for a total of 33,000 presets! With more than 250,000 units sold, the M1 was a tough act to follow. Remarkably however the Triton released in 1999 managed to out-sell the M1 and set a whole new standard in keyboard technology for another decade. Following the turn of the 20th century, Korg revisited classic subtractive synthesis with the MS2000, this time employing their groundbreaking virtual analog technology. The MS2000 became somewhat of a cult classic thanks to its impressively ‘analog like’ sound and extensive hands on controls. In 2004, a compact unassuming synthesiser hit the market with the name microKORG. Internally it shared a lot of DNA with the MS2000, but externally it was something else entirely. Besides the miniature keys and wooden end panels, microKORG sports a large central knob which sorts the 128 factory presets into 8 genre based categories such as ‘Retro’ and ‘Electronica’. Whilst a little subjectively presumptuous, this approach proved tremendously popular with newer players as it simplified the process of finding an appropriate sound. On top of this, the sound could be easily tweaked with the multiple control knobs and the creatively mapped mod wheel, and even further editing was possible for more experienced synthesists. This being the case, microKORG proved appealing to musicians of all types, including guitarists and bass players looking to expand their sonic palette. 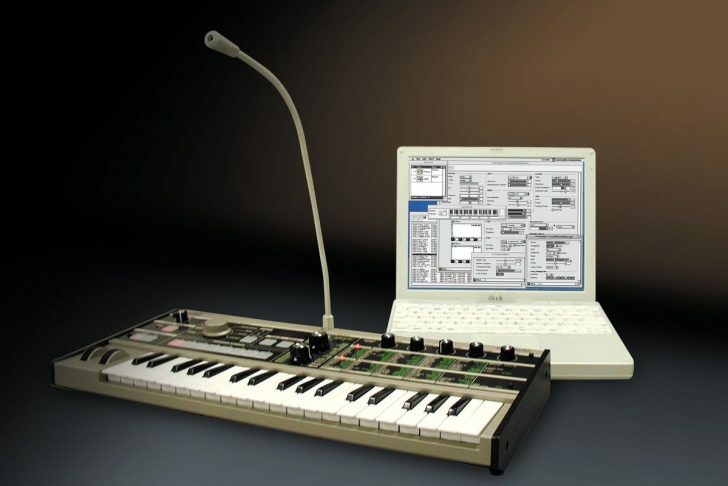 Surely the microKORG’s most iconic feature is the overhanging gooseneck mic which fuels the included vocoder functionality, bringing what was previously a niche, esoteric synthesis technique to mainstream attention. The microKORG remains popular to this day and production is still in full swing. Having hit the 100,000 mark almost a decade ago, your guess is as good as mine as to how many units KORG have sold to date. Chances are, microKORG is the most popular synthesiser of all time. For a while, it looked as if KORG had turned their backs on analog synthesis entirely, but 2010 saw the release of the Monotron, an entirely analog little battery powered box with ribbon keyboard and inbuilt speaker for under $100. What appeared to be a fairly novelty device on the surface turned out to be a reasonably capable synth thanks largely to the inclusion of the classic MS-20 low-pass filter. Whilst its musical application was challenged by the unusual little ribbon keyboard, it reminded people of the joy to be found in traditional analog synthesis, and sonic mayhem was never more fun or accessible. Korg built upon the Monotron’s success soon after with the Monotribe, which paired expanded synthesis capability with an analog drum machine plus sequencer, all housed in a solid metal chassis. Several Monotron variations were also released such as the dual oscillator Monotron Duo. It was obvious the world was hungry for new affordable analog weaponry, and Korg was undoubtedly ready for them. 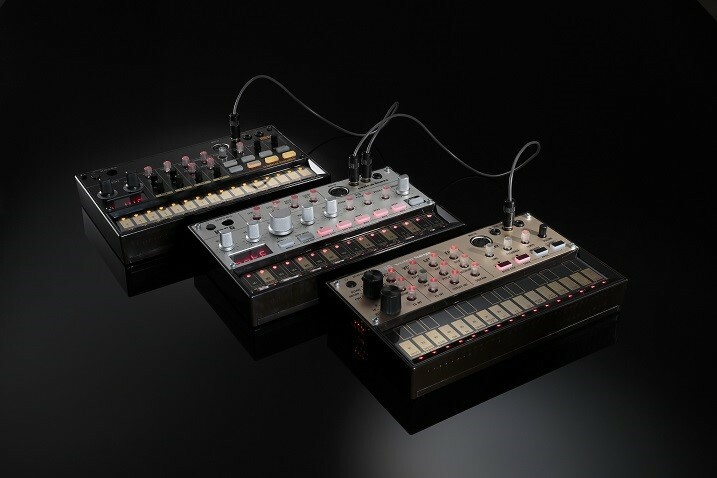 In 2013, Korg unleashed the Volca range consisting initially of three units: Volca Bass, Volca Keys and Volca Beats. Whilst the monotrons from several years earlier blurred the line between toy and serious instrument, the Volcas were firmly in camp B. Despite a similarly diminutive stature, Volcas were packed to the brim with features and controls including a comprehensive sequencer with automation (dubbed motion control), but they also sounded amazing. The ‘Volca Bass’ is a 3 oscillator low end behemoth taking asthetic inspiration from Roland’s classic 303, but capable of far more than just slippery acidic lines. ‘Volca Keys’ had a similar 3 oscillator architecture this time focusing on polyphonic deployment, however the oscillators could also be stacked in mono not unlike the classic Mono/Poly from 1981. ‘Volca Drum’ takes inspiration from classic drum machines and provides a combination of analog sound generation and PCM samples. The ability to sync Volca units easily via ⅛” cables meant this was an addictive ecosystem to get involved in. Volcas still provide a great introduction to synths, or a highly desirable option for those looking to step outside the world of software synthesis. Your first Volca purchase is typically not your last, and today the Volca range consists of 7 models including a super convenient mixer with multi-unit power distribution. By 2015, the planet was buzzing with synth activity and there was no shortage of options for either affordable mono-synths or high end poly-synths. Moog continued to find success with higher end mono-synths, but the affordable poly-synth market remained for the most part untapped. Just prior to the 2016 Winter NAMM show, Korg announced the minilogue which completely recalibrated people’s expectations as far as what an affordable analog synth was capable of. With 4 voices, 2 oscillators per voice, patch memory, polyphonic sequencer and onboard effects for under $1000, the minilogue received a lot of attention (and a lot of awards). Polyphonically it sounded fantastic, but that wasn’t the whole story. 8 buttons across the front panel labelled ‘Voice Modes’ reconfigured the voice architecture for different applications. For example ‘Unision’ mode stacked all four voices (8 oscillators) in mono and allowed for easy detuning via one knob for outrageous basses and leads. ‘Mono’ mode restricted the synth to one mono voice, but allowed 2 more voices to be gradually introduced as sub-oscillators over 2 octaves for classic fat lead lines. So naturally minilouge became the go to affordable analog synth. For beginners, being able to play more than one note at a time and store presets was a game changer. More experienced players found the minilogue capable of doing thing their more expensive vintage synths couldn’t, and often used it in favour of them for both performance and recording projects. 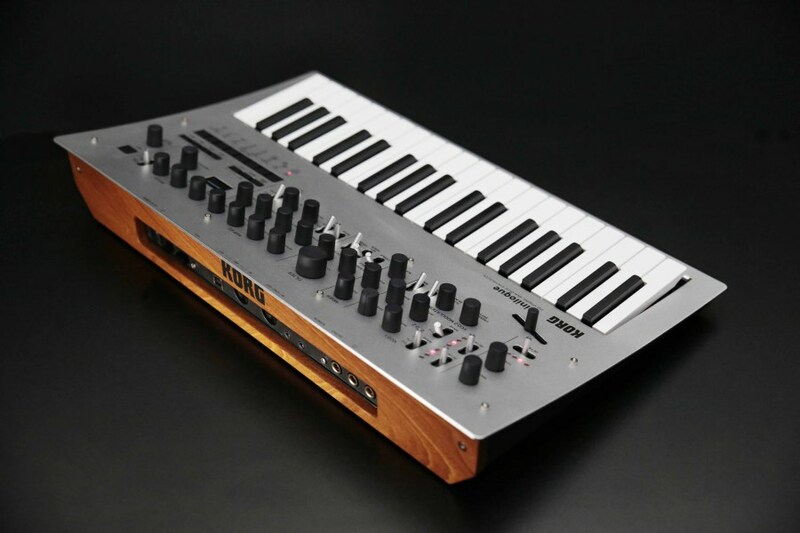 The following year, Korg showed off a brand analog synth dubbed ‘monologue’. This obvious reaction being that this was simply a single voice from the minilogue, however it was in fact a completely redesigned mono synth with a sound of its own. First of all, the new aggressive 2-pole analog filter had plenty of bite, as well as an analog overdrive circuit. A new 2-speed LFO was employed allowing super high speed audio rate modulation, and following direction from long time Korg fan Aphex Twin, the monolgoue provided highly customizable microtuning including the ability to create your own custom scales. This sort of functionality was uncommon at any price point, however the monologue came in at under $500 and available in 5 different colours. The next year, Korg continued their pattern of annual analog synth releases, this time looking to a different part of the market. 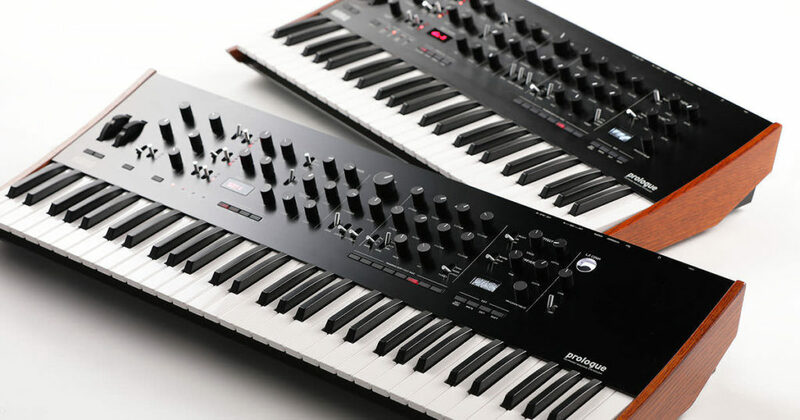 The prologue introduced in 2018 was aimed squarely at the professional player, by taking concepts introduced in the minilogue and taking them to a whole new level. Two models were announced: the 49 key prologue 8, and the 61 key prolouge 16. 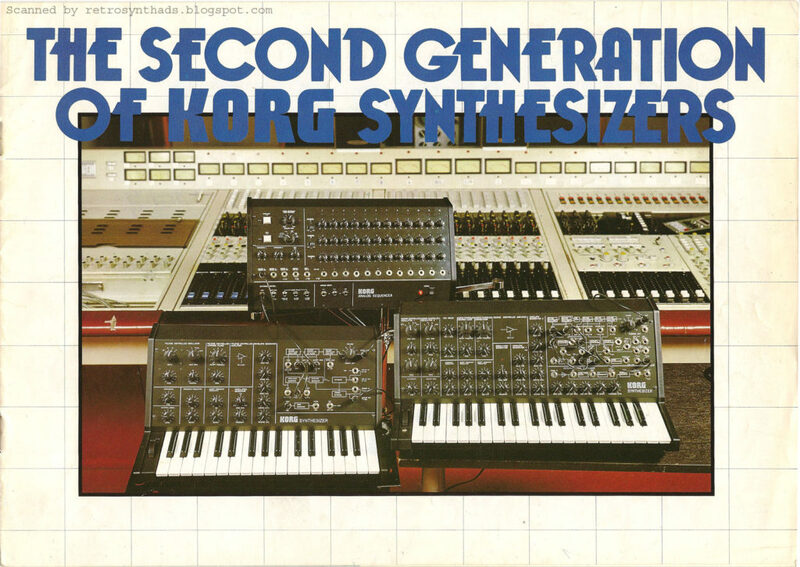 Interestingly, this was Korg’s first flagship, high-end analog (well, mostly analog) poly-synth in decades. Both models are built in Korg’s Japanese factory with staggeringly high attention to detail, and the component based analog architecture made for a truly powerful analog sound. But there was a lot more on offer. The first two of prologue’s three (per-voice) oscillators are VCOs, similar to that used in the minilogue. The third however is something new entirely name the ‘Multi-Engine’. This digital oscillator has three modes of operation including noise and VPM (Variable Phase Modulation). The latter of the two being capable of amazingly complex FM type sounds via its 16 waveforms with many dedicated parameters including modulation depth plus its own envelope. The third mode of multi-engine operation is called ‘User’, which allows for custom oscillators to be loaded via an editor/librarian program. This is made possible by a free SDK for code savvy users to write their own oscillators, and mere mortals to wait for others to do it for them. Which brings us to current date, January 2019. With the 2019 Winter NAMM show just around the corner, we can’t help but suspect there’ll be plenty more to talk about as far as Korg synthesisers go very, very soon. Let the speculation (and possibly leaks) begin!